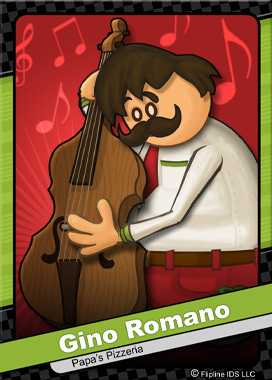 Gino plays the standup bass for the famous Romano Family Quartet. He is the oldest nephew of Little Edoardo and son of the late Giacomo “Gigante” Romano. His uncle taught Gino to play the bass at age 8, and the two started performing for various weddings and family reunions across the area. When touring with the Romano Family Quartet, Gino is tasked with driving the old Romano Tour Bus.